Our last post from NAMM 2010 features more images from the Analogue Haven booth, where I spent a fair amount of time. I was particularly intrigued by the two-dimensional sequencer module (in the lower left). A wide variety patterns can be generated along the X and Y axis and modified by selectively removing elements or subsections. If I put together a modular system anytime soon, I would want that monorocket case. 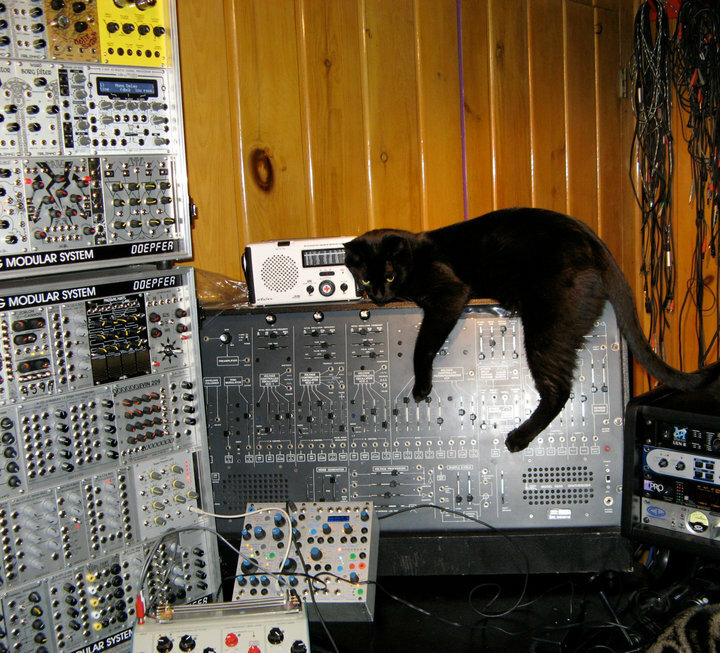 Of course, there are a splattering of Doepfer modules in many of these setups.